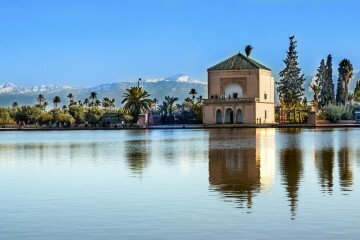 Agadir is one of Morocco’s most popular attractions. Wander through its animated port where local fishermen come to sell their catch. 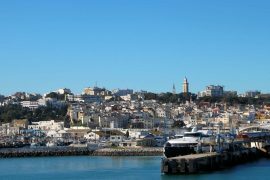 Agadir Shore Excursion will let you learn more about its history by visiting the Museum of Arts and Popular Traditions where you will have the chance to see some old Berber jewelry, pottery, rugs, wood and other objects. 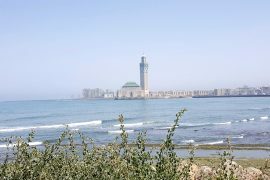 Your half day Agadir Shore Excursion will start at the Kasbah of Agadir that is perched high on a hill overlooking the city as well as its wonderful bay. 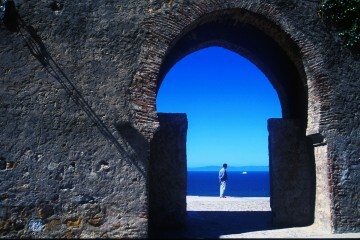 From these early remains of Agadir, you’ll be able to enjoy some breathtaking views of the city and its bay. Stop at the harbor where local fishermen come to sell their catch. 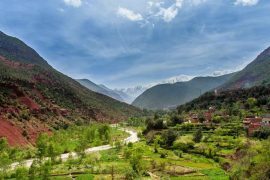 Other places to visit during this half day Agadir Shore Excursion are: The Museum of Arts and Popular Traditions, the Swiss district, the main shopping area, the carpet factory and the artisans’ district where you’ll attend demonstrations of lace making, embroidery, leather work and wood. 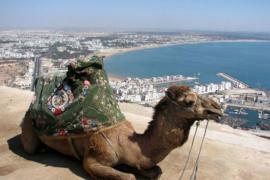 Check out our Agadir Shore Excursions from Agadir Port!!! 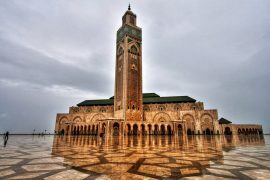 Pure Morocco tour guide and driver will pick you up from Agadir Port. 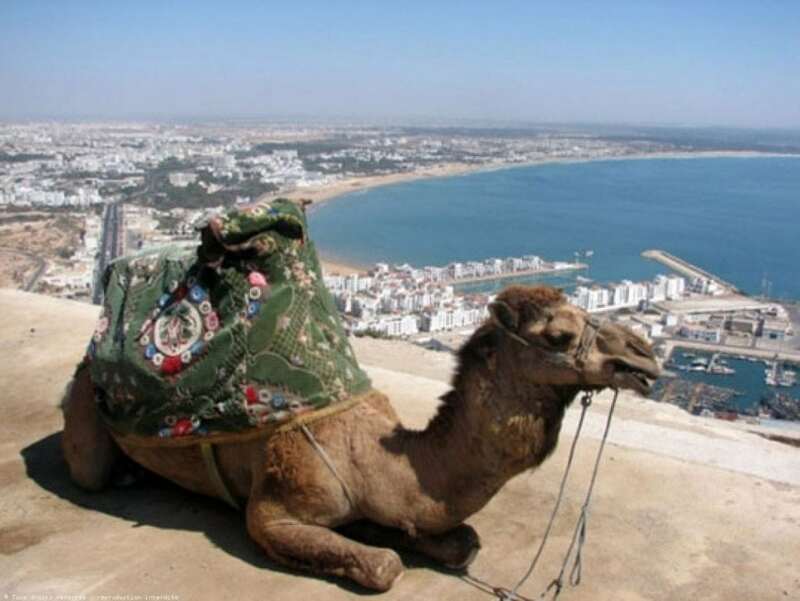 Accompanied by an English-speaking guide, your Agadir Shore Excursion will start at the Kasbah of Agadir that is perched high on a hill overlooking the city as well as its wonderful bay. 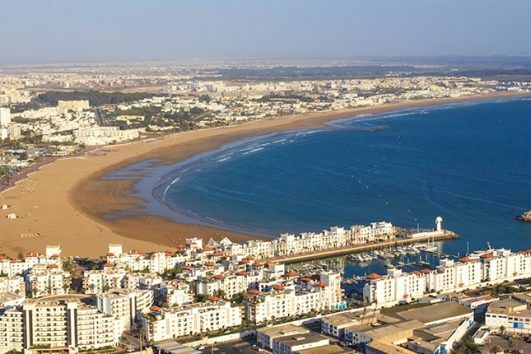 From these early remains of Agadir, you’ll be able to enjoy some breathtaking views of the city and its bay. Stop at the harbor where local fishermen come to sell their catch. 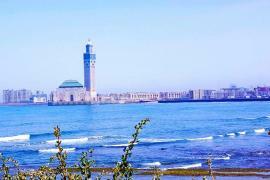 Other places to visit are: The Museum of Arts and Popular Traditions, the Swiss district, the main shopping area, the carpet factory and the artisans’ district where you’ll attend demonstrations of lace making, embroidery, leather work and wood. 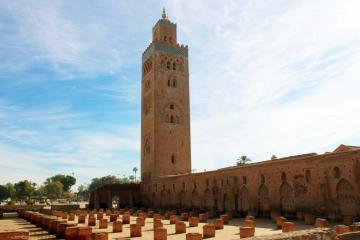 If time permits, a brief visit to the souks can be made.